These days mobile phones and tablets are overtaking PC’s as the dominate force when it comes to web browsing and we have all experienced the frustration of browsing a web page on our mobile phone that has not been re-sized for our smaller screens. So with this significant shift already in effect how can businesses ensure their website is user friendly on all devices? Instead of spending a lot of time and money designing multiple versions of the same site for an ever changing wave of devices what if there was a development technique that reacts to the size of your users screen? Responsive Web Design does just that. A site using this development technique adapts the layout to the viewing environment (screen) by using fluid, proportion based grids, flexible images and CSS media queries. A webpage using this responsive web design approach can adjust how it’s displayed on the device of the user for optimum functionality and viewing experience. One site for every device. Whether your customers are using PC’s, Tablets or Mobile phones your site will work on all their devices. It also means making changes is simple as your only changing one site not multiple and you save time and money that would otherwise have been spent on other versions of your site. Responsive Web Design is great for SEO. All the hard work spent optimising your site is focused on a single site rather than multiple versions. It’s also easier for Google to index your site as your URL remains the same for all devices. Optimal design for the users device. 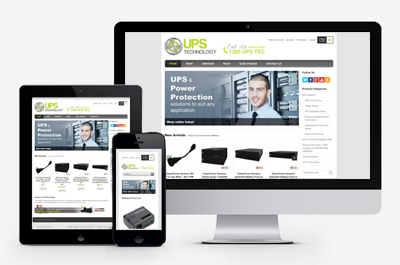 Your website will display at it’s best on your users devices no matter what they are using. Remember: Happy users are loyal users! No need for redirects. Never again do you need to set up and redirect your users to your site. It displays perfectly first time, every time. There’s still a chance now for your business to get ahead of the trend. Want to get started? Contact us today.